ibis Bangkok Sukhumvit 4 hotel is situated on Sukhumvit Road, a lively district filled with top restaurants, bars and clubs. The great value accommodation includes free WiFi in all rooms, daily housekeeping and luggage storage. Our friendly staff at the 24-hour front desk will ensure that you have a pleasant stay. Located in the heart of Sukhumvit, guests are close to many malls including Central World, Central Embassy and Terminal 21. Peaceful Benjakitti Park is nearby. With BTS Nana station nearby, guests have convenient access to all the city has to offer. Located in the heart of Southeast Asia, Bangkok is a modern and lively city with a variety of attractions to offer. The bustling city is filled with magnificent palaces, diverse cuisine from world-class restaurants to street stalls and shopping malls. Located in the heart of Sukhumvit, guests are close to many malls including Central World, Central Embassy and Terminal 21. Peaceful Benjakitti Park is nearby. With BTS Nana station nearby guests have convenient access to all the city has to offer. Good location and good food taste but I think front reception needs to support foreigners with smile face different with Thai guests, no any impression with this area. No room service for in room food, call to reception to check. The answer is close if yes or no one know about this please remove menu from the room. However I am appreciate restaurant staff and house keeper. They treat me as same as foreign customers. The way when I need to check out, the reception promised me I can keep 3 rooms until 5pm, but when it comes to 12, my friends stay in other room was told get out the room cos it’s time for check out, at that time I was doing massage near the hotel, therefore, I had to get up and wash off the oil and ran to the hotel to explain the misunderstood. Well, the girl at the reception denied her promise that keep 3 rooms to 5 pm. I only stayed for 3 nights and basically just slept in the hotel ( e.g. I didn't eat in the restaurant or drink at the bar ). But the room was fine - a bit small but clean and comfortable, with good wi-fi. I have frequently stayed at IBIS Sukhumvit 4 whenever I travel to Bangkok for business or holiday. The staff at IBIS makes me feel welcome and we became friends over time. Nice and clean room for your stay with excellent breakfast. Everything is OK, no issues. Prices of room and breakfast are very reasonable. Even quality of staff attitude is not excellent. No complaint! For business and just stay 1-2 nights, this hotel is perfect. From Nana BTS to hotel, it spends around 10 mins on foot. Location is acceptable. We had a great time staying at this hotel because as soon as you leave the hotel you find yourself in the middle of Bangkoks busy life. Still you have a quiet place to calm down and sleep at night. We really enjoyed it! A prompt check in process by a lovely and ever smiley receptionist. A good start to a short one nite stay in Bangkok. Staff was great. Welcome drink was only a Coca-Cola which was terrible since I wanted a Coconut drink that was only a little bit more, but was refused. Overall good stay. Staff was friendly. However, I do find the room a bit humid even with aircond. Enjoyable stay. I have stayed at this hotel several times before. 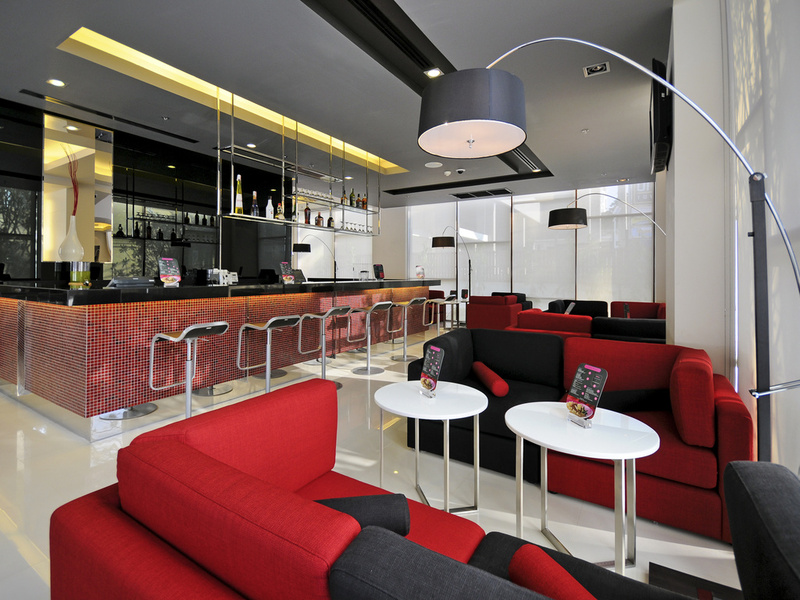 You know the standard you can expect when you stay in an Ibis hotel and Ibis Sukhumvit Soi 4 meets those standards. Centered and close to metro. Friendly staff. Either than this it was a negative experience. Drunk and disrespectful guests, shouting in the night along the corridors. Despite my calls to the concierge and their promise to look after it, nothing changed. Couldn't sleep. Awful. I stayed at this hotel after (nearly) 2 years gap. I'm a bit surprised to see that the room looked cleaner than before and wi fi connection looked much more improved.